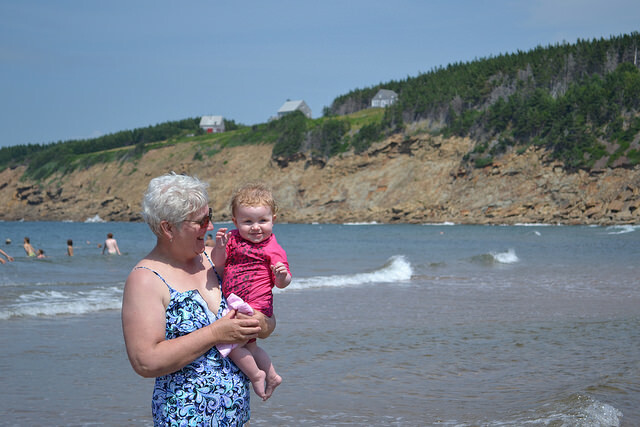 Now that the jet lag is gone, Maeve’s teething is (mostly) under control and the mad pile of laundry that awaited my return is (mostly) under control, I have some time to sit down and reflect on my summer in Cape Breton. It was a different summer. Not in a bad way, but in an “I have a baby now” way. Baby always take precedent, and rightfully so. Still, I got a part-time job baking pies, biscuits and desserts for the summer. My mom eagerly made use of her alone time with Maeve, teaching her new words (we’re still hearing about crows, or “Ohhh’s” over here), blowing bubbles with her and taking her around the garden when the black flies weren’t too bad. I hung out with Dan from Tourism Cape Breton and went on lots of fun tours, day trips and meals. I have so many things to write about. We had a two-day stopover in St. John’s, Newfoundland, and one of my dearest friends flew from Toronto to meet us there – it was so wonderful to see her and spend time with her family. This was a fabulous day. 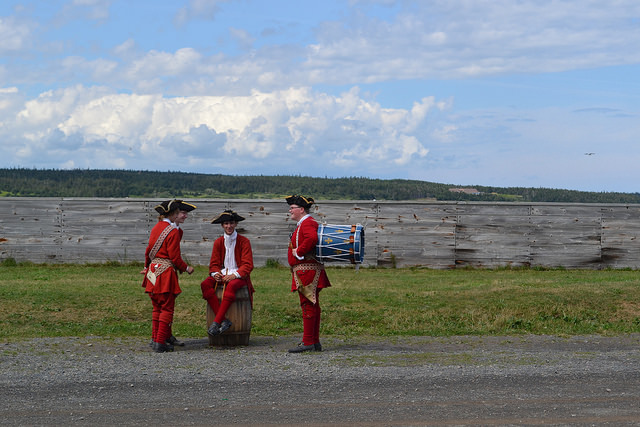 I think the last time I visited The Fortress of Louisbourg I was 2 or 3 years old – definitely not old enough to remember anything. A trip to this 18th century French fortress was absolutely in order. It was supposed to be stormy that day so we weren’t sure if we’d make it. 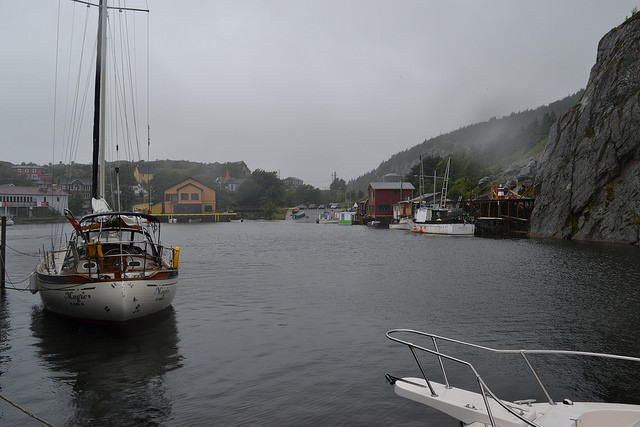 With Louisbourg, a little misty rain and cloudiness can add to the atmosphere but torrential rain does not a great day make. It turned out to be one of the most beautiful days of the month. We were lucky, and we had an amazing day with my aunt, uncle, cousins and all our little people. In true Cape Breton style, the bus driver knew my Uncle Donnie. We had a great auld chat (he also told us there’s a Louisburgh in Ireland! Go fig.). 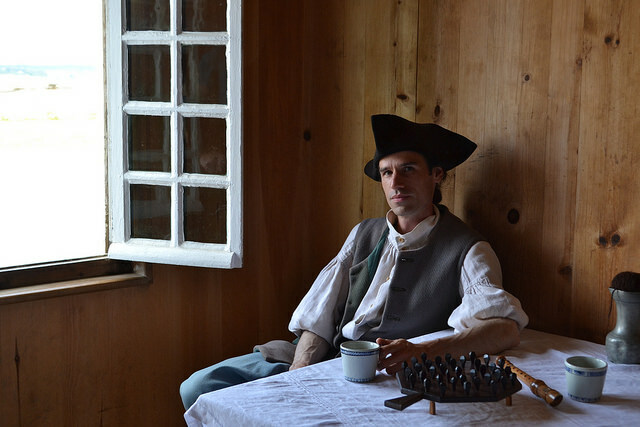 Fun fact: Louisbourg is the largest reconstruction in North America, right down to the actors knowing the actual stories of the people who owned each establishment. The French eventually lost Cape Breton to the British, but Louisbourg still looks the same as it did in 1744. 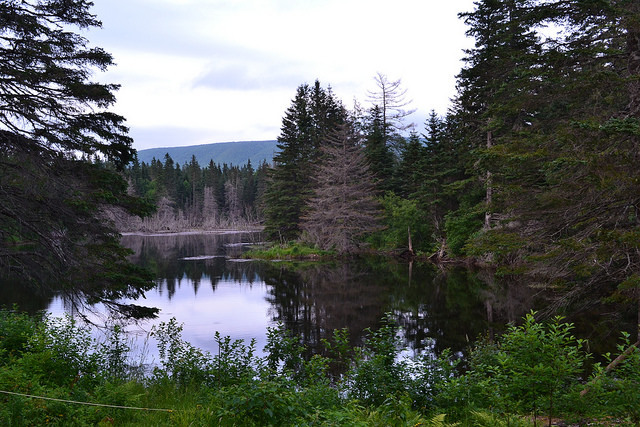 From the 1700’s to the early 1990’s, coal mining was Cape Breton’s largest industry. Except it wasn’t, where I grew up. Mine was a farming community. I never thought much about coal mining, as a result, until I visited the Miners Museum in Glace Bay. The funny thing is, I come from a family of coal miners on my mother’s side. Her father and all of her uncles mined coal, and so did my uncles until the mines were shut down. What I learned about coal mining – about how the mining companies owned the houses the miners lived in and the shops where they bought their food, and how they never paid them enough so the miners were always in debt to their employers – opened my eyes. When it was no longer considered profitable, the mines were all shut down and the miners, who had never done anything else, were out of a job. 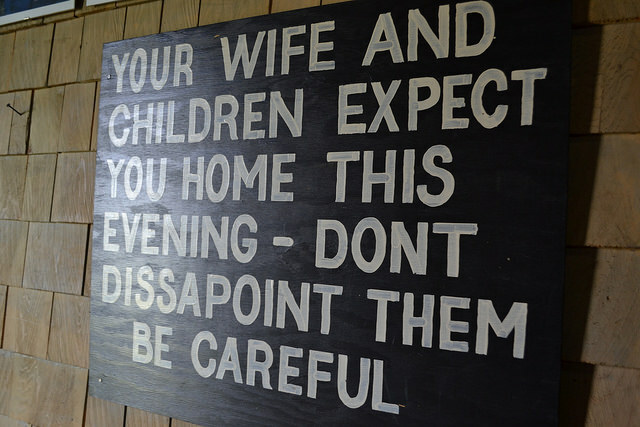 I think my family members were a bit better off by the time they started mining – they had some benefits by then and better pay – but it was still an extremely dangerous job dealing with toxic fumes, explosions and other serious workplace hazards. My aunt told me my grandfather used to have to fight the rats for his lunch. 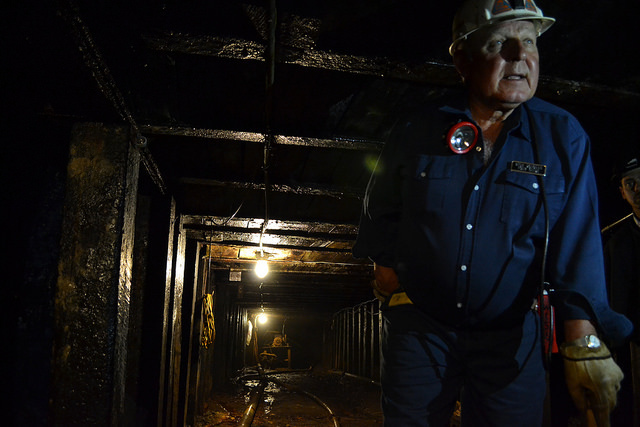 The museum has an actual mine replica and a former miner is your guide. You get a real feel of what it was like underground. In true Cape Breton style, our mining guide knew my grandfather and my great-uncle Wes. 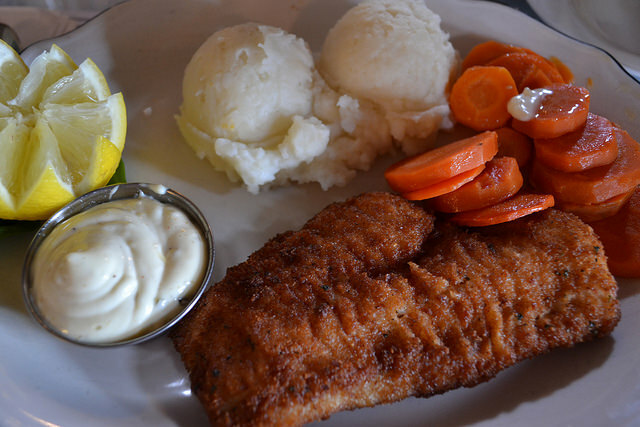 We had a really good lunch at the Miner’s Village Restaurant – crispy haddock and oatcakes? Yes, please. There are a lot of babies in my family right now. In the past year I think there have been at least eight or nine born and one or two more on the way. Since there weren’t any babies for a long time before this, everyone’s in great cheer. 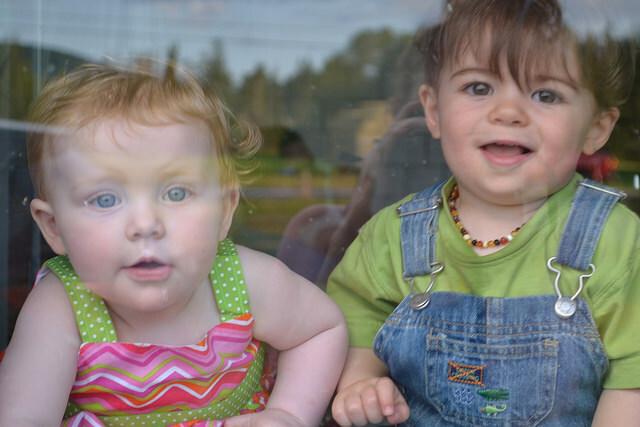 Babies just bring out the best in people. Maeve had so much fun with her cousins this summer and I’m so glad she got to spend time with so many of them. Some were too little to play, but Maeve enjoyed tickling their toes. I really have a wonderful family and, even though I love living in Ireland, I miss them every day. Did you know: Cape Breton has North America’s first ever single malt whisky distillery. And it’s awesome. 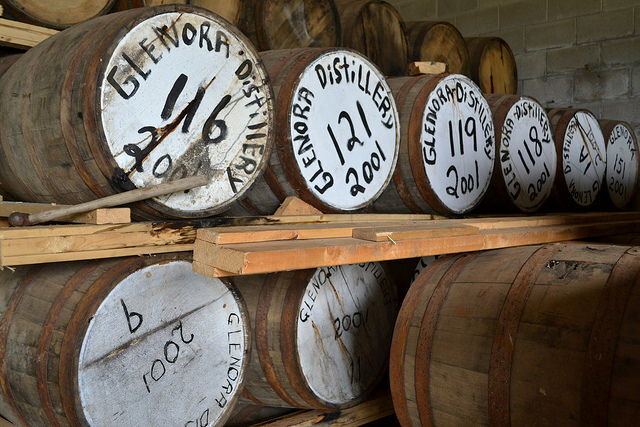 The distillery is called Glenora and their whisky is known as Glen Breton. They were actually sued a few years back because the Scotch Whisky Association doesn’t like other areas using the term “Glen” in their branding. 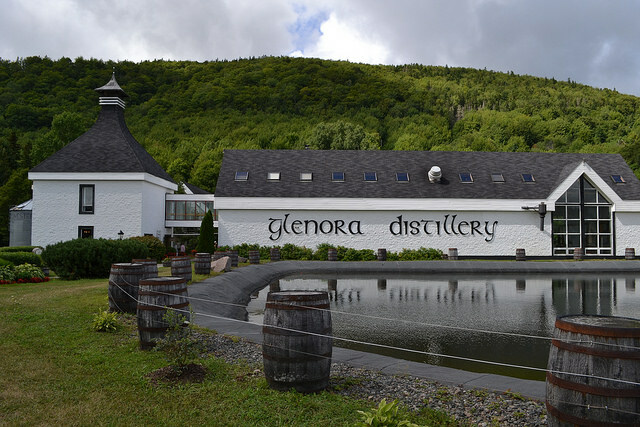 Sorry Scotland, but when so many of your inhabitants moved to Cape Breton they called a lot of areas “Glen something-or-other” – I mean, the distillery is located in a place called Glenville! At the distillery, you can take a tour, have a tasting, stay at one of their gorgeous chalets on the hillside, eat some tasty food in their pub and listen to the talented musicians who play there every day. Besides their whisky, which is excellent, the pub has a great selection of local beers and wines. 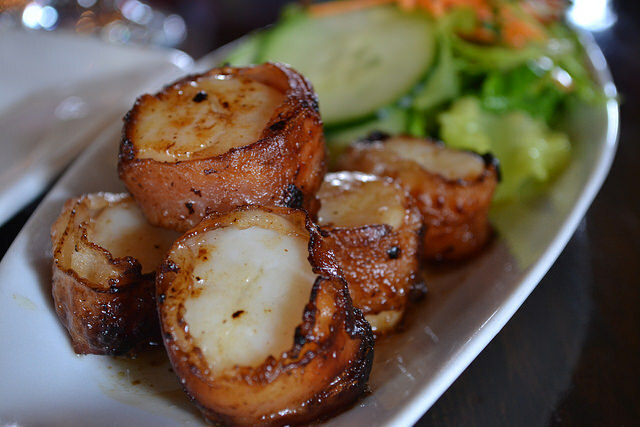 I had a great seafood gnocchi when I visited and as a starter we tried their bacon-wrapped, whisky-glazed scallops – which were phenomenal. I should mention that their gift shop is one of the nicest on the whole island. You can buy their whisky but also handmade, local crafts, artwork and knick-knacks. There are a lot of gimmick-ey gift shops in Cape Breton where the trinkets are all made in China – this is not one of them! 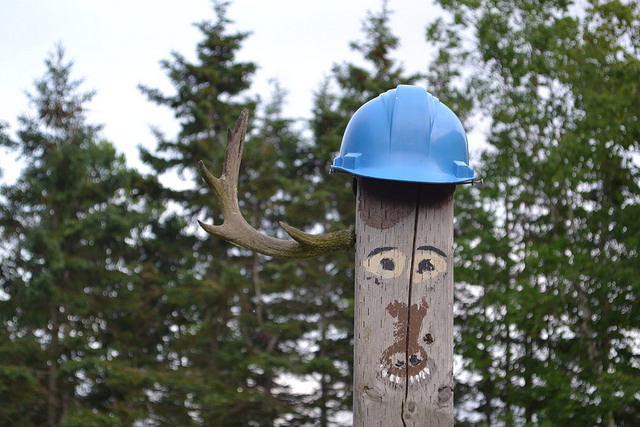 Cape Breton is home to some truly talented artists and craftspeople. 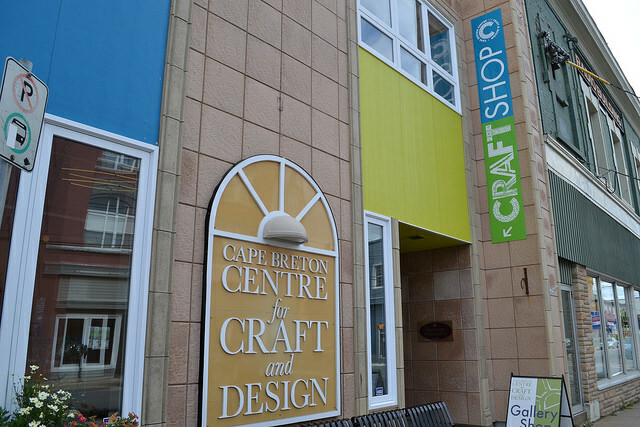 The Centre for Craft & Design, located in Downtown Sydney, has some of the most beautiful pottery, paintings, jewelry, leatherworks, glassworks and weaving around. 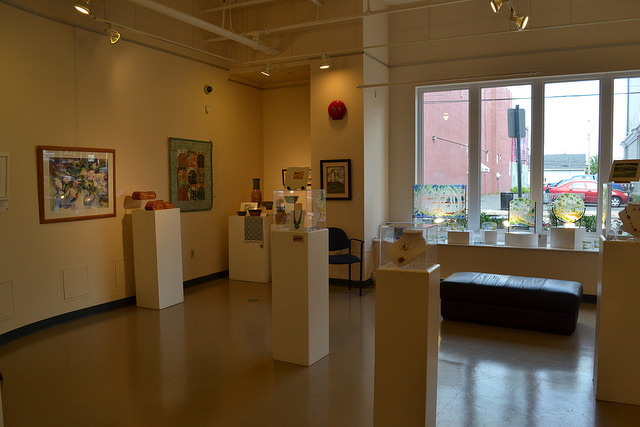 They feature juried artists from around the island – many with their own small shops; well worth checking out – and work hard to garner support for the arts in Cape Breton. Aside from their gorgeous gift shop, they also have a space for art shows and rooms for workshops. They put on summer camps for kids and do a lot of good in the community. Before we left for Newfoundland, we visited my alma mater in Wolfville – a small town about an hour from Halifax. 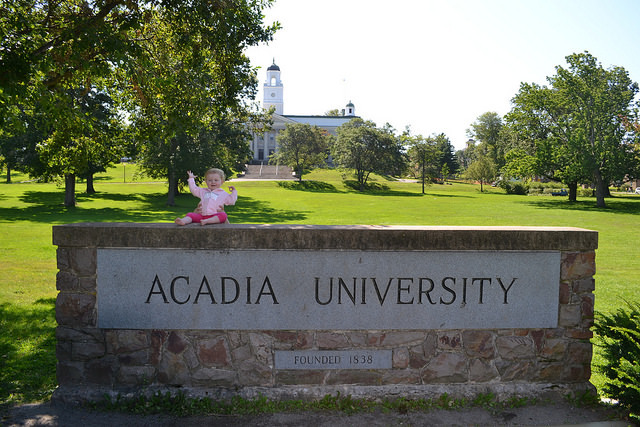 I went to Acadia University for my undergrad so it was a lot of fun showing Pat around and buying swag at the university shop for Maeve. We even got her picture taken on the sign (a time-honoured tradition). Aside from checking out the university (and visiting my favourite former professor), we visited Paddy’s Pub, Joe’s for Scot Skins (it’s an Acadia thing), The Library Pub, Just Us! Coffee (where I used to sling espresso) and The Rolled Oat (to visit some good friends). I wanted to see the Benjamin Bridge Winery, but apparently it’s not open to the public! Also, we tried to have dinner at Front & Central, a restaurant that made last year’s Top 100 Restaurants in Canada, but it was closed for some reason. I still managed to smuggle some Benjamin Bridge Nova 7 into Ireland (it’s exquisite. It’s sitting in my fridge now, waiting for an occasion). The amazing new Westjet flight from Dublin to St. John’s gave us the perfect excuse to spend a few days exploring Newfoundland. We could have taken the ferry from North Sydney in Cape Breton to St. John’s, but the plane ride was only an hour long. I have so much to say about St. John’s it will have to be another post. For now, let’s just say: I had the best meal of my life, the coziest brunch ever, drank beer made from an iceberg, ate fries, dressing & gravy, got blown away by a tropical storm and soaked in an ocean swell. And that’s just the beginning. The hike begins where my grandmother's life began - at the foundation of a house that no longer stands and a field that my ancestors laboured to clear when they came from Scotland. I should mention that the field is no longer a field, but part of the forest. You need to be with someone, like my dad, to know where the house and barn and fields were. It's amazing how the mountain was once a thriving, well-populated community. Now, it's a road where most cars can't drive and the thickest forest with a clearing every now and then; reminders of where a house once stood. Things are busy right now. Real busy. Visiting family, day trips and our everyday jobs are making what was meant to be a vacation into a full-time job, but you won’t catch me complaining. I’m loving having my husband here, my brothers and their families and all the time I’m spending with the fabulous folks at Tourism Cape Breton. I have so much to post about, but it won’t be happening today. 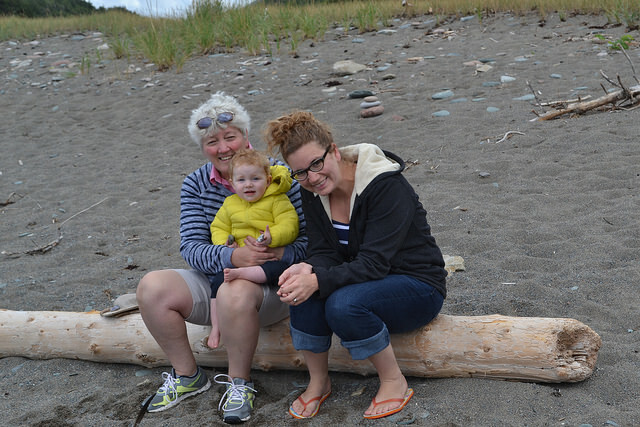 Today I’ll give you some photos cataloging our first time at the beach as a family (spoiler alert: Maeve loooooved it). 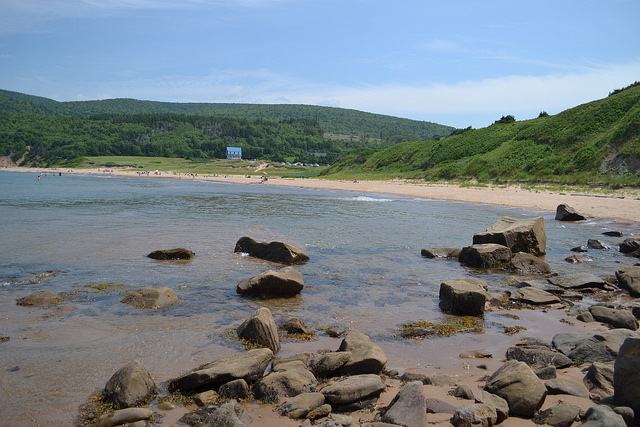 Two Sundays ago we drove for about 40 minutes to Chimney Corner Beach – located off a small dirt road in between Margaree and Inverness. It’s not easy to find if you’ve never been there, but if you do manage to find it you won’t regret it. 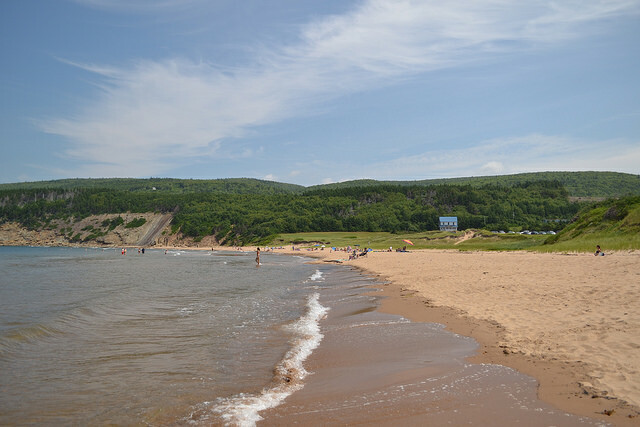 It is, in my opinion, the best beach on Cape Breton Island. 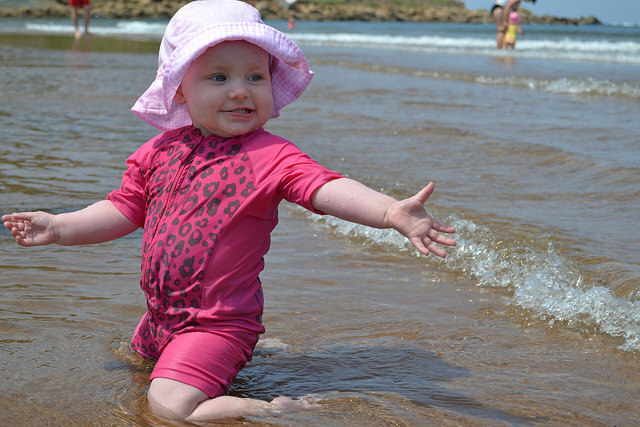 The sand is golden, the surf is gentle, the water is warm – in other words, it’s the perfect beach for small kids (and big kids, too). 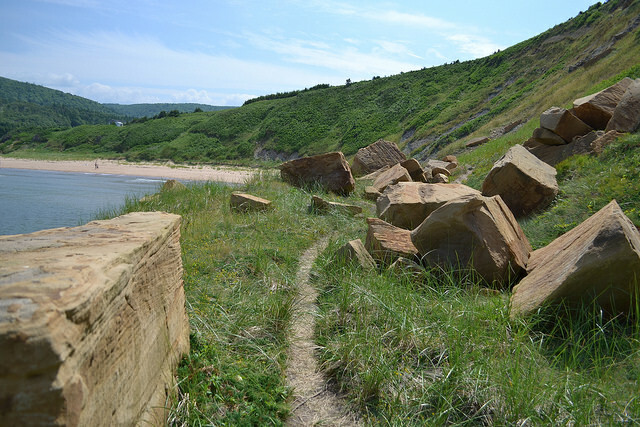 There’s a short hike you can take up to the “chimney” on the south end of the beach. Just walk to the end of the beach and follow the dirt path to the top of the bluff. 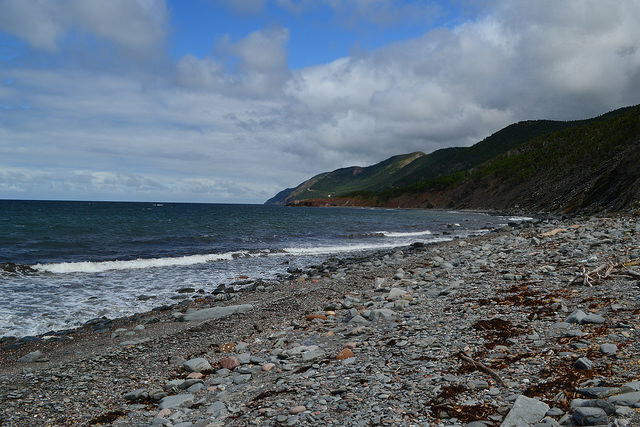 There are nice ocean views and a decent view of Margaree Island from the top (if you’ve read any Alistair MacLeod stories, this is the area where he spent his childhood and where most of his stories are set). 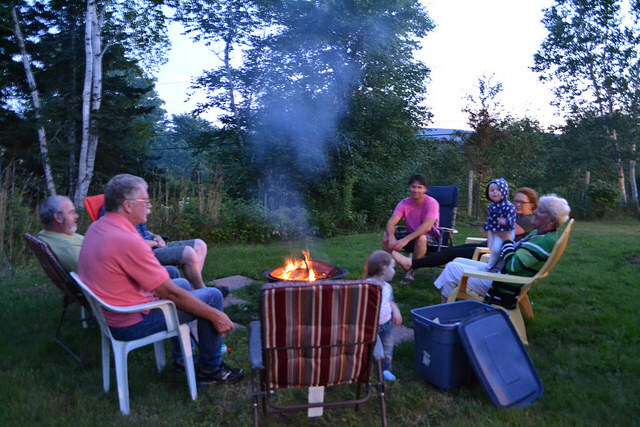 This is the kind of stuff I miss about Cape Breton when I’m gone. 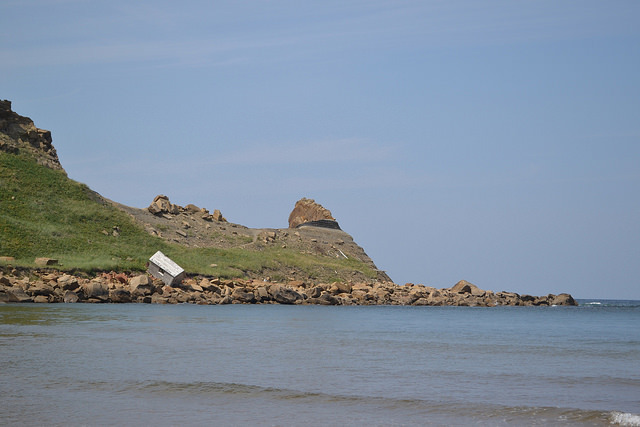 On a beautiful day, there is no better place to be than Chimney Corner. Life in Cape Breton is so busy compared to my past year in Ireland! I’m feeling a bit like a single mom, even though I have lots of (appreciated) help from my parents and extended family. I miss how Pat used to let me sleep in on Saturdays while he got up with Maeve. I miss Ireland, a bit, too. I didn’t think I would. Not that I don’t love living there, I just never thought it would live up to Cape Breton. It seems to, though, in a completely different way. 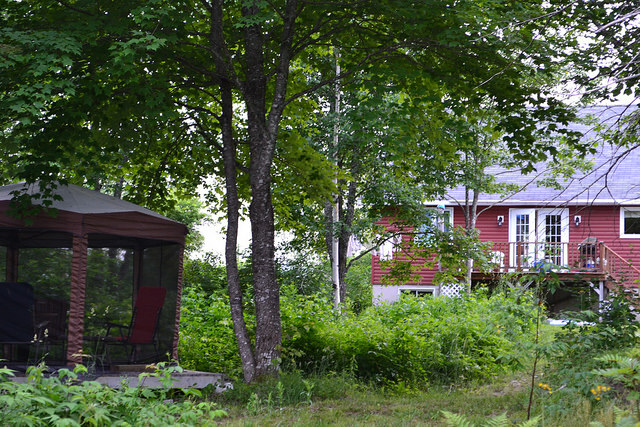 The summers are better (and more fun; relaxing) here. My parents and aunties are here and I am perpetually missing them while in Ireland. But the winters in Ireland are better; the spring arrives sooner. I have big family of in-laws who I love dearly. I can travel across several different countries by air in Europe in the same amount of time as it would take to fly from one end of Canada to the other. Ireland has its perks; and it seems like home to me now. 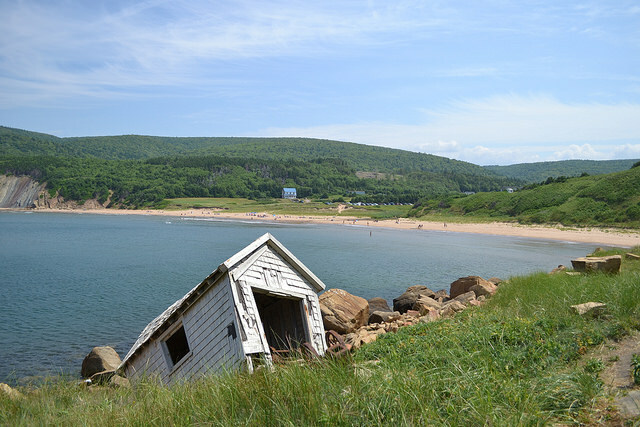 Cape Breton will always be home, too. I hope my kids feel at home here. But this is probably the last time I come for months on end without my husband. It’s not as fun without him anyway. BUT he arrives in five days! And even though we’ll both be working it will feel like a proper summer holiday. I am thrilled to be hanging out with some of the lovely folks from Tourism Cape Breton as I rediscover my island home and do lots of research for future articles. 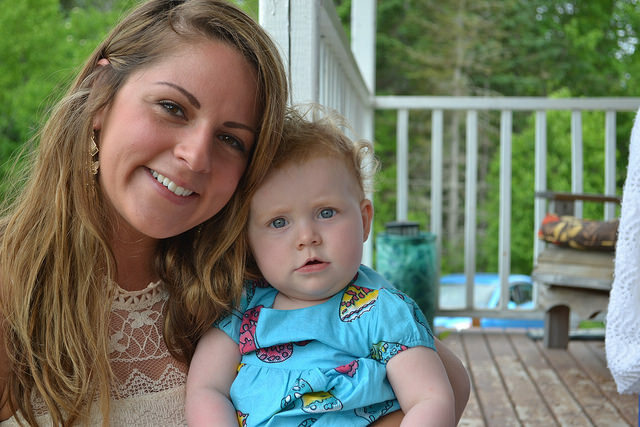 I am loving taking care of the baking at the Baddeck Lobster Suppers a few mornings a week, and of course I’m so excited to be able to spend the next few weekends at the beach with my whole family. That’s right, my brothers will be here with their families. We will host a party of epic proportions. With lots of delicious Nova Scotian beer. 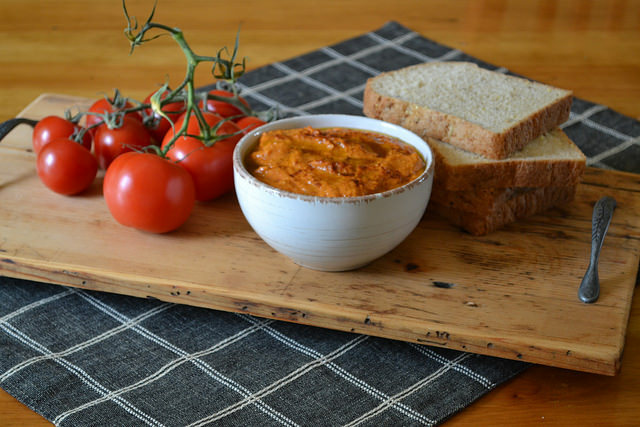 Though I haven’t had much time to cook or bake outside of work, I did whip up this delicious romesco sauce the other day. 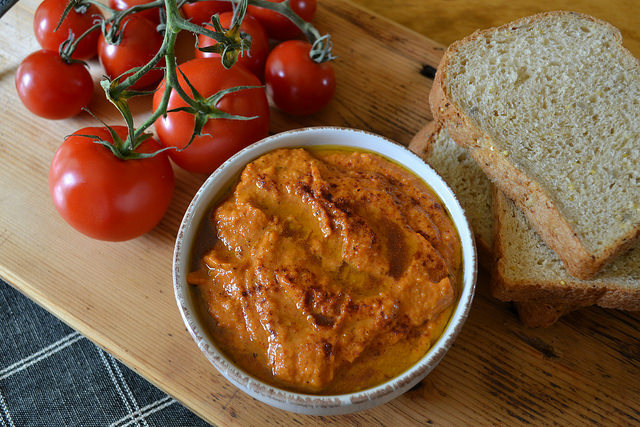 Romesco sauce isn’t just a condiment, it is a lesson in classic Spanish technique and flavour. It’s practical, using up stale bread and blending bits of fresh, roasted veggies with almonds and sherry vinegar, but it’s also multi-purpose. 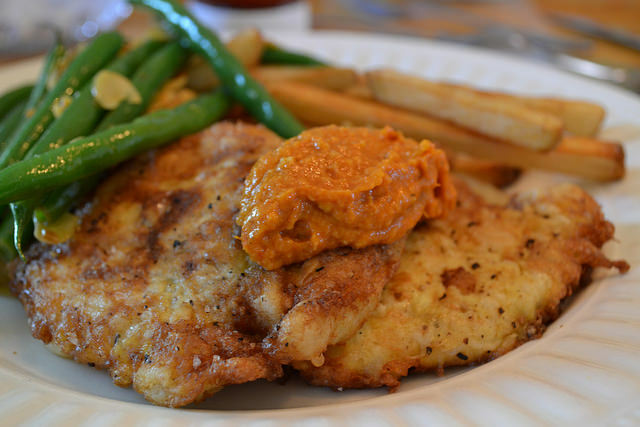 The flavour profile will brighten up nearly any fish or meat (including my dad’s famous egg-battered haddock) and also works well tossed with pastas or cooked veggies. A dollop added at the beginning of a paella (although most likely considered blasphemous in Spain) will add an extra bit of zest to the classic dish. And now that most of my meals end up being eaten by an almost-one-year-old, I can attest to the fact that it is absolutely delicious in grilled cheese sandwiches. Maeve agrees. Preheat your oven to 375 degrees (190 Celsius, no fan). Line a baking sheet with parchment and set aside. 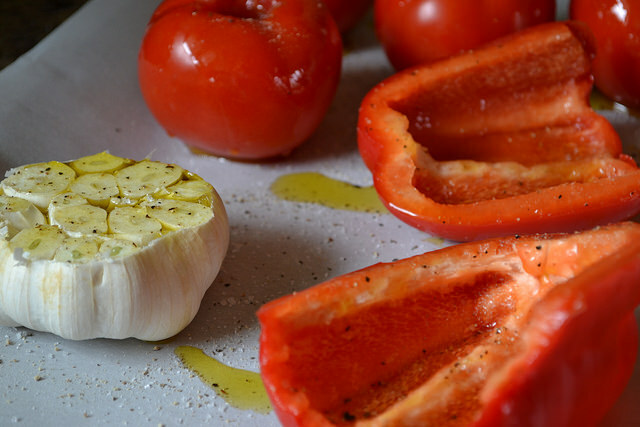 Prepare all of your vegetables – core the tomatoes, seed and slice the peppers and cut the head off the garlic (you can save the little bits of garlic in the head for the minced garlic needed later). Throw the garlic, peppers and tomatoes on the baking sheet. Season with salt and pepper and drizzle with olive oil. Roast the veggies for about 1.5 hours. They will be really, really well roasted when done. Toast the almonds on the stove top (I just put them in a dry cast iron pan and tossed them occasionally until they were evenly toasted). Set aside. 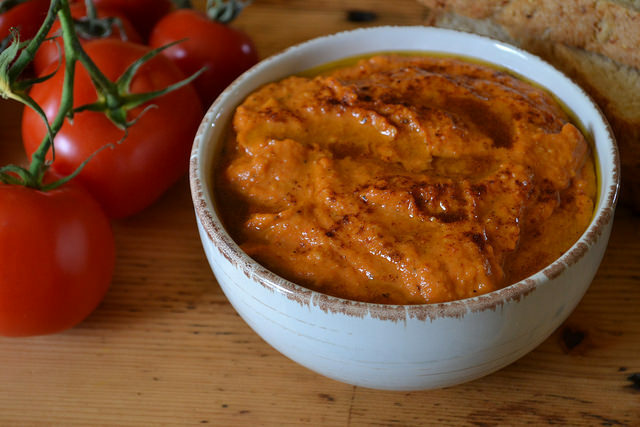 In a blender or food processor, add the olive oil, almonds, bread, minced garlic, vinegar, and paprika. Pulse a few times to start breaking things down. Add the roasted garlic, tomatoes and peppers. Pulse until smooth. The consistency should still have texture to it, though, like a pesto. Season with salt and pepper and serve warm or at room temperature with all kinds of meat, white fish, grilled veggies or even just some nice, crusty bread, warmed olives and manchego cheese. Now that I’m home in Cape Breton it’s great to be able to share a few of my favourite local places with you! If you’re from the East Coast of Canada, chances are you enjoy eating seafood by the bucket-load (not exaggerating; we literally eat buckets of seafood here). Scallops, mussels, haddock, crab, salmon and, perhaps the most sacred crustacean of all, the Atlantic lobster are found in abundance in Cape Breton and, while the weather is at it’s finest in the summer, so is the seafood. Lobster season in Cape Breton runs from May til about mid-July. That’s not very long in lobster-eating time. We like to get a lot of it while we can, especially because it’s more expensive and not as good for the rest of the year. I go to Charlene’s a lot. I was just there yesterday for lunch. 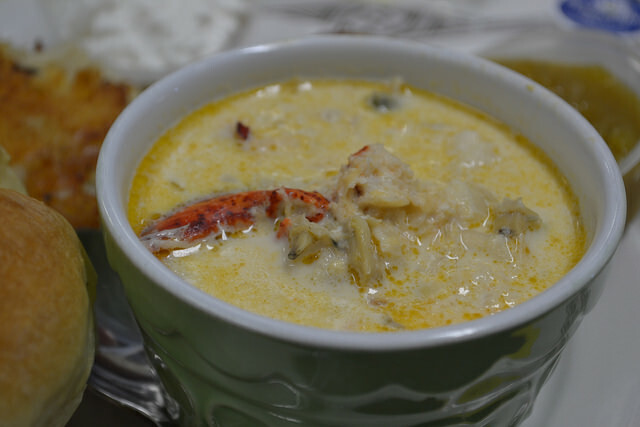 If you’re looking for a truly phenomenal seafood chowder, Charlene’s wins out every time. It is hands-down the best chowder in Cape Breton. That is not an easy statement to make, but it is true. 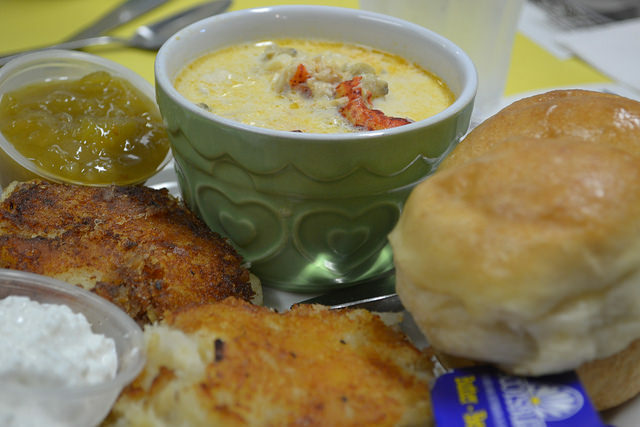 There’s a lot of good chowder on this island, but they all play second fiddle to Charlene’s. So what makes Charlene’s chowder so freaking amazing? Well. Aside from being perfectly seasoned and a true Cape Breton chowder-consistency (that is, more soupy than thick), Charlene does. not. add. any. potato. to. her. chowder. None. 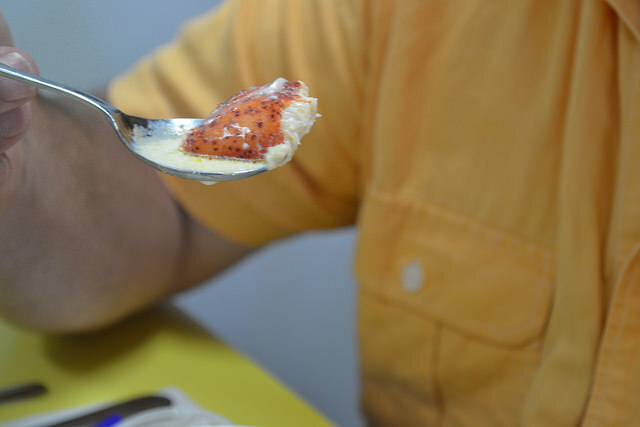 Some may enjoy the odd potato in their chowder, but if you really love seafood you’ll be delighted by the omission. Instead of potato, Charlene just adds a lot more seafood. I’m talkin’ massive chunks of lobster (never chewy, always tender), whole scallops, shelled mussels and big pieces of fish. 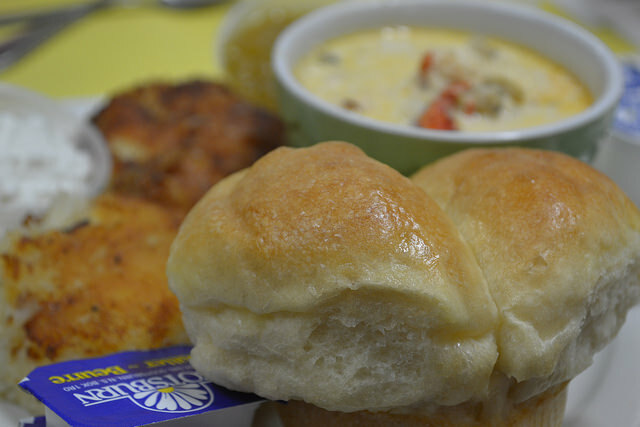 Paired with one of her homemade rolls or biscuits, this chowder skyrockets you into Cape Breton seafood heaven. 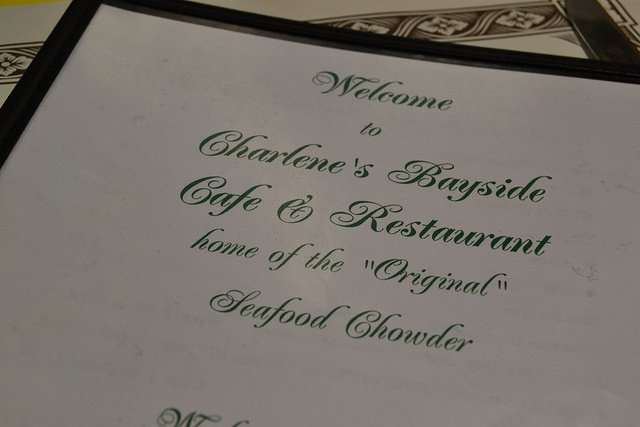 I’m going on and on about the chowder, but the other reason I like to go to Charlene’s Bayside is for the FISHCAKES. 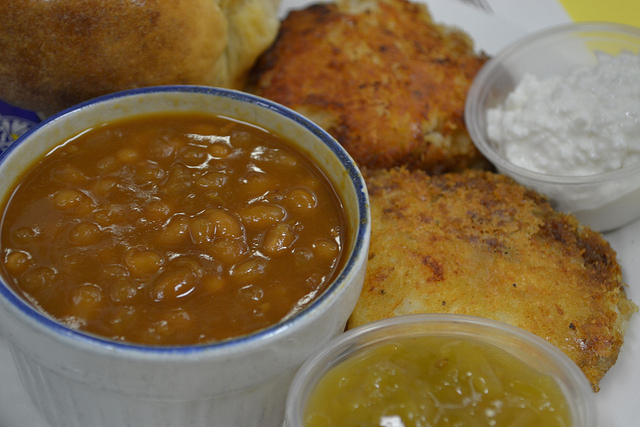 Best fishcakes, not just in Cape Breton, but ever. Just ever. Potato, cod and seasonings combine to create a homey, comforting meal. Charlene serves two big fishcakes with homemade baked beans, green tomato chow (a type of relish), cottage cheese and a roll or biscuit. It’s a massive plate, and I have been known to devour one in less than ten minutes. I just love those fishcakes. *If you’re cheeky like me, you can ask for a cup of chowder instead of the baked beans. That way I get all of my favourite things on one plate! The beans are really good, though, and pair well with the fishcakes. It’s always a tough call. If you’re planning a visit to Cape Breton and want to eat here, you’ll find Charlene’s Bayside in the village of Whycocomagh, about 30 minutes before you reach Baddeck on the Trans-Canada highway. Order the fishcakes, some chowder, a homemade dessert and tell Charlene I say hey. You can like Charlene’s Bayside on Facebook. Time here in Cape Breton is flying. As I re-read my last post I can’t believe the difference a week makes. It’s been hot. Hellishly, devilishly hot. Low-mid 30’s every day with high humidity. 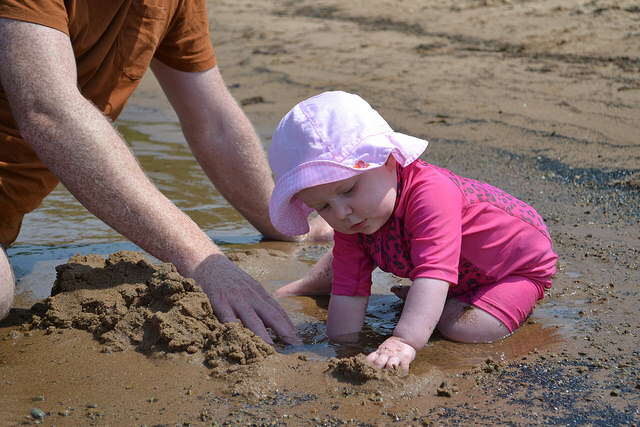 My dad and I have been spending a lot of time swimming in the river and Maeve has been living in the bathtub and kiddie pool – the heat has been a lot for that little Irish lass to take. She’s uncomfortable and hot going to sleep and wakes up in the night, suddenly freezing! Needless to say I’ve had a few restless nights (and ungodly early mornings). 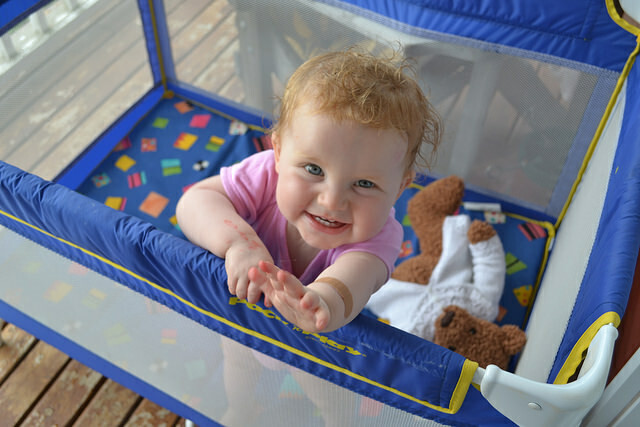 Maeve’s been enjoying her time with my family and friends. Early mornings are my new thing, it would seem, because I’ve taken a part time job at a local business in town (about a 20 minute drive from my parents’ house). Yes, folks, I’m back in the kitchen and loving it – even in this incredible heat. I’ve been taking care of their baking and desserts and getting up very early in the morning to do so. I’ve always cherished those quiet early hours in restaurant kitchens – before the other cooks arrive, before the hectic lunch service – and I’m loving being the first one in this kitchen three days a week. It’s been a great job for easing me back in the industry (for when I get back to Ireland) and, also, I’m cooking my favourite kinds of food here – homey, delicious breads and desserts using lots of local fruits and berries. Low-fuss and humble, just like us Cape Bretoners (right?!). 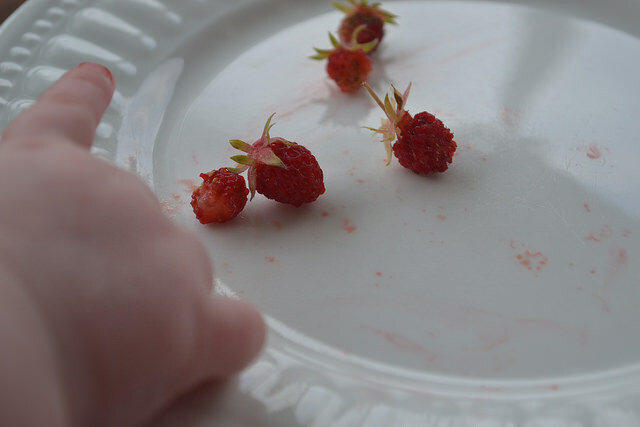 Wild Strawberries devoured by little hands. I’ve been working my way through a lot of my favourite home-foods but haven’t really gotten around everywhere – especially not with my camera. So those posts will have to wait. But I have been eating lots of delicious BBQ dishes with my mom and dad, and tonight we had my father’s famous fried haddock. I could eat 100 lbs of it in one sitting. 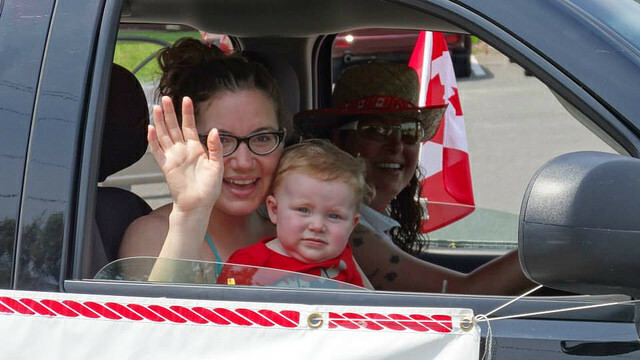 On Canada Day Maeve and I were invited onto my employer’s float for the annual parade in Baddeck. I really think this was the best way for Maeve to experience the parade – I mean, she didn’t get freaked out by all the strange, noisy floats slowing going down the street; instead she got to ride shotgun in a pickup truck and wave to all the smiling people on the side of the road (if you’ve ever met my baby, you’ll know she loves waving to strangers). After the parade we enjoyed a BBQ with family. That said, I miss my husband. I left him in Ireland and he’s not going to be here until August. It really hits home how much he does to help with the baby when he’s not here, so we’re counting down the days til he arrives. I think he’s secretly enjoying his lie-ins and uninterrupted soccer matches, personally (do I sound bitter? I don’t mean to.). 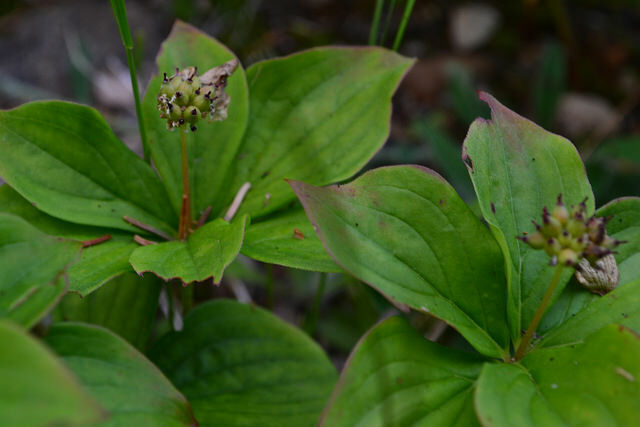 Bunchberry blossoms replaced by berries within a week. 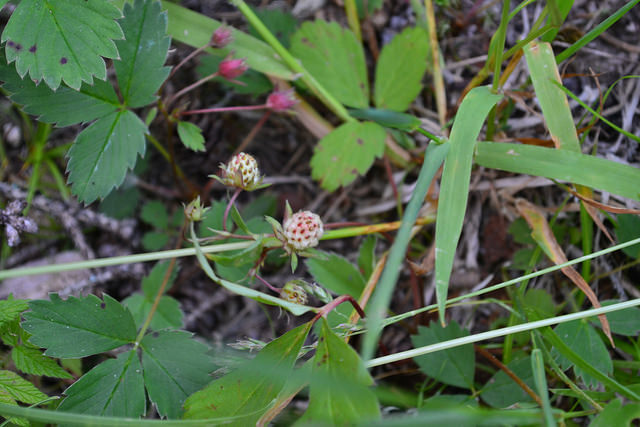 Wild strawberries – much smaller and sweeter than cultivated! 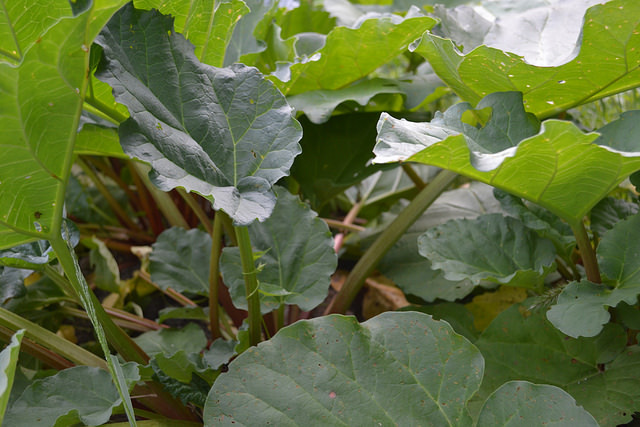 Our garden continues to grow, our chipmunks are growing fatter and I’m keeping an eye on all the wild berries that will soon be ready for the picking (the strawberries and bunchberries are nearly there – the blueberries, blackberries and raspberries will be coming up in late July-early August). I promise to post a recipe soon. This is supposed to be a food blog, after all. 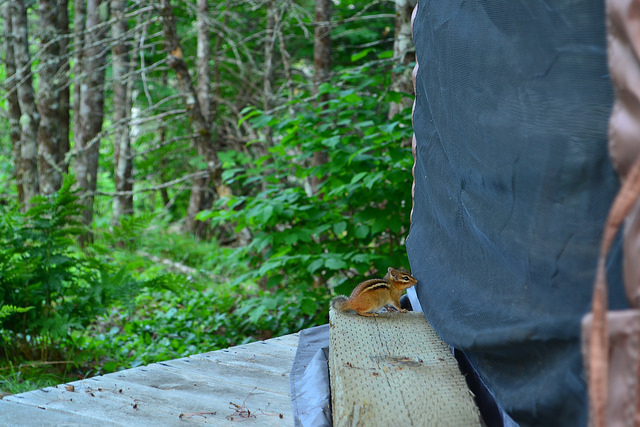 In the meantime, please enjoy these pictures taken around my backyard. Yeah, there’s a pond. The backyard. Great fishin’ spot! The trail from the pond to the house. Cheers! And Happy Belated Canada Day!